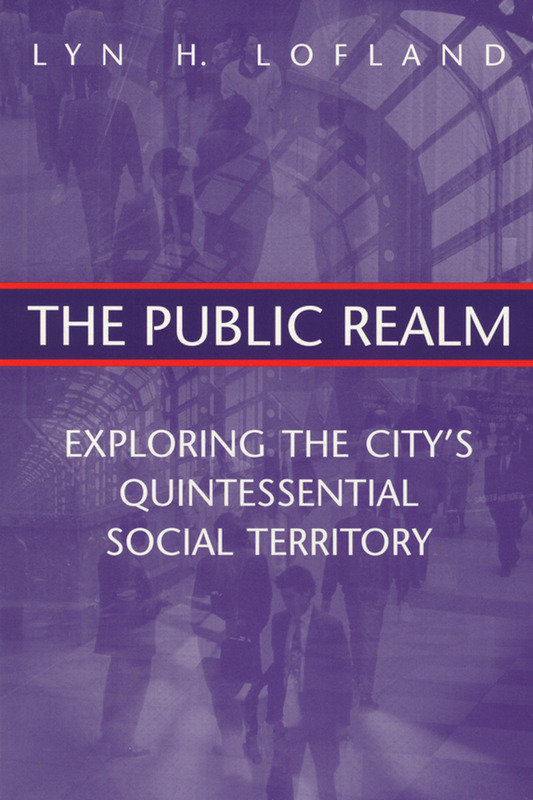 This book is about the "public realm," defined as a particular kind of social territory that is found almost exclusively in large settlements. This particular form of social-psychological space comes into being whenever a piece of actual physical space is dominated by relationships between and among persons who are strangers to one another, as often occurs in urban bars, buses, plazas, parks, coffee houses, streets, and so forth. More specifically, the book is about the social life that occurs in such social-psychological spaces (the normative patterns and principles that shape it, the relationships that characterize it, the aesthetic and interactional pleasures that enliven it) and the forces (anti-urbanism, privatism, post-war planning and architecture) that threaten it. The data upon which the book's analysis is based are diverse: direct observation; interviews; contemporary photographs, historic etchings, prints and photographs, and historical maps; histories of specific urban public spaces or spatial types; and the relevant scholarly literature from sociology, environmental psychology, geography, history, anthropology, and architecture and urban planning and design. Its central argument is that while the existing body of accomplished work in the social sciences can be reinterpreted to make it relevant to an understanding of the public realm, this quintessential feature of city life deserves much more u it deserves to be the object of direct scholarly interest in its own right. Choice noted that: "The author's writing style is unusually accessible, and the often fascinating narrative is generously supported by well-chosen photos." A City "Garden of Earthly Delights"